Stefan Esders is professor of the history of late Antiquity and Early Middle Ages at the Friedrich-Meinecke Institute of the Freie Universität Berlin. 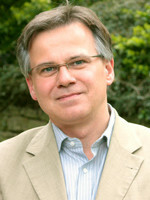 His main research interests are on history, continuity, change and acculturation during the transition from Antiquity to Middle Ages; religion and its part at political identitybuilding between late Antiquity and Middles Ages and feudal society and family structures in the Europe of the Middle Ages. Furthermore he researches the history of political organization, legal history and church history. Currently he is dealing with mediterranean communications, ca. 400-812 CE. Die Spätantike – eine expandierende Epoche? Kann die spätantike 'Völkerwanderung' etwas zum besseren Verständnis unserer Gegenwart beitragen?